$984,000 will be used by government to fund the construction of eight boulder groyne works for the Wainawaqa Village Riverbank Protection Project. 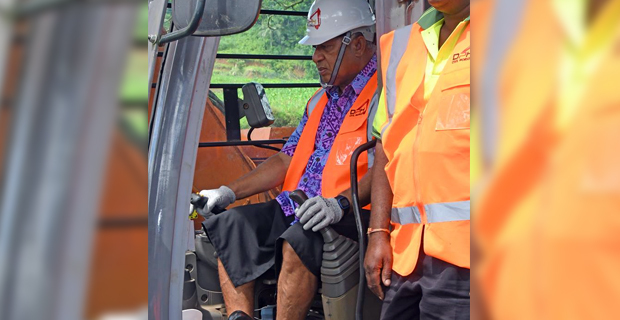 This was highlighted by the Prime Minister, Voreqe Bainimarama while commissioning the Project in Naitasiri. Bainimarama says that this is due to the constant erosion of the Village riverbank during periods of heavy rain. He adds that their homes, roads and their livelihoods were being threatened by river waves and this has caused their community to be unliveable. Bainimarama says that these protection works will provide them security and allow them to go about their lives without living in fear of worsening floods.